Looking for plus size swim style inspiration? What to wear or how to rock your plus size bathing suit? Check out these fresh plus size swim looks! When it comes to plus size swim, images are everything! Seeing other women celebrating themselves, celebrating their curves, celebrating, and living life at the beach or at the pool, is quite inspirational- don’t you think? 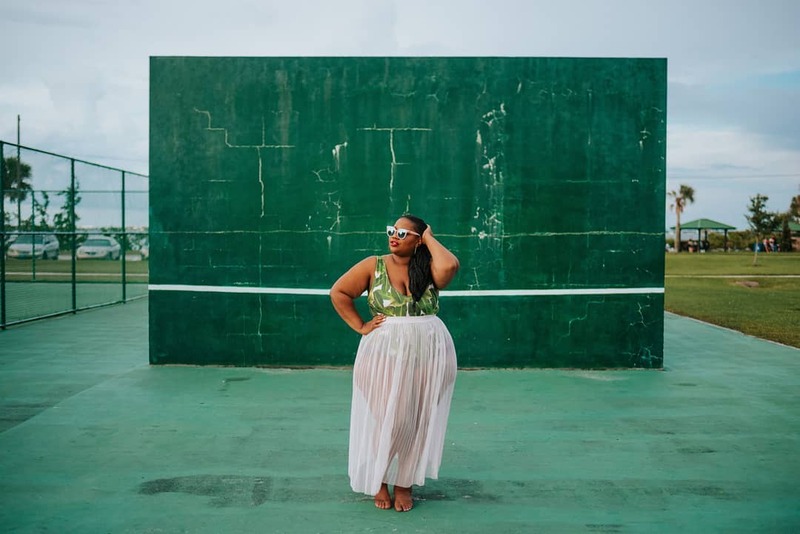 So today, at the height of summer, I wanted to share with you a few images featuring plus size swim style that are giving us life over here at The Curvy Fashionista. You may be wondering why now? Well, honey… the trips do not stop at the end of summer, honey! We have the TCFCruise, The Curvy Fest in Cancun, and whatever vacations you have planned for the rest of the year, that the weather is kind enough for us to rock a bathing suit for… IJS. So take a peek at a few of the cuties we have found! 15 Women Giving Us All the Plus Size Swim Style Inspo! And here I am, Living it up in Miami! You see what I mean? Great looks, right? You see those white plus size bathing suits? Girl! I have to admit, I have never been able to find a white bathing suit that rocks on my skin, but these two ladies who rocked their white suits? LOVE. Have you found your perfect plus size bathing suit yet? Have you seen our mega roundups? The best bikinis, the 100 suits under $100, or the plus size indie swim designers to know? We do our best to bring you the best in plus size fashion with where to shop, how to rock it, and where you can find it! Ohhh and if you are not following any of these ladies, make sure that you click the follow button as they provide more plus size fashion inspiration! Which IG was your fave? Did you find new plus size IGers to follow? Let us know your favorite look! Model Hunter McGrady Is Launching a Plus Size Swimwear Collection with Playful Promises!